Exclusive new details have emerged about the transfer of Uyghur detainees outside Xinjiang, and the conditions inside the prisons warehousing them for re-education. Bitter Winter has once again received exclusive news about Muslims being transferred to Shaanxi and Gansu. The prisons in these two provinces where Muslims are received and detained have also been exposed for the first time. Prior to this, news about the mass transfer of Uyghurs, Kazakhs, and other ethnic minority Muslims detained in Xinjiang’s “transformation through education” camps to other provinces has elicited attention from the international community. Due to the high degree of confidentiality, it is difficult to find out about the specific transfer process and the detainees’ real circumstances. Bitter Winter has continuously received exclusive information about this situation, and the state of these Muslim detainees transferred from Xinjiang is worrying. 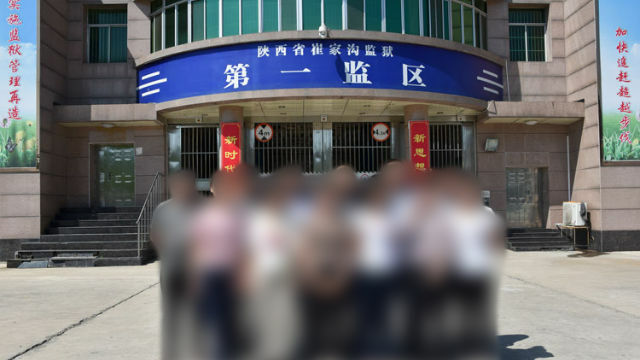 According to online news, Tongchuan city’s Cuijiagou prison is the largest province-level prison in the northwestern province of Shaanxi. An informed source told Bitter Winter that about 3,000 transferred Uyghurs are currently known to be detained there. According to the source, the transferred detainees were transported in sealed railway carriages. After arriving in Xi’an, the capital city of Shaanxi, they were transferred by armed police in military trucks to Cuijiagou prison. The source revealed, “In order to conceal the truth, these people are always sent to the prison at night.” The inmates who were previously held at the prison had been transferred to other prisons in advance. Just like the situation in other provinces that Bitter Winter has reported, the transfer of detainees to neighboring Gansu province has also been kept highly confidential. According to residents of Jiuquan city, in the three-day period from August 22 to 24, 2018, all stretches of road from the railway station in the city’s Suzhou district to a newly-built prison were cordoned off. Plainclothes police officers were stationed at every intersection along the closed roads. Yellow-and-white iron fences over one meter in height surrounded both sides of the road leading to the prison. Another informed source revealed that the buses used for transferring the Uyghurs were driven directly onto the train platform to pick them up. All the police officers participating in the transfer were armed with guns. That night, at least 30 to 40 buses with curtains pulled down drove by. According to an insider, the authorities are very strict in managing the Uyghur detainees. Inside the prison, surveillance cameras are even installed in the showers. All detainees are prohibited from talking or communicating with each other, and only specially trained personnel are allowed to have any contact with them. The detained are given only one meal per day, which goes through several checkpoints before reaching the detained. Reportedly, the prison also has a special steel bar cage for detaining “serious criminals.” The square-shaped cage is just over one meter tall, and there is a sink inside it. The persons locked inside are unable to stand or fully stretch and are restricted to eating and relieving themselves only inside the cage. In an attempt to prove the reports about transformation through education camps in Xinjiang were false, Chinse authorities recently organized two trips to see the camps: one for a small group of foreign journalist and the other for diplomats from non-Western countries, like Russia, Indonesia, Kazakhstan, and Thailand. During the visits, officials dismissed the reports as “slanderous lies” and stated that the “educational facilities” had been extremely effective in reducing extremism and that the number of detainees in the camps would decrease with time. Apparently, the time is not now yet: Recent reports continue to show that the number of Uyghur detainees in transformation through education camps is definitely not decreasing. On the contrary, it is evident that some of them are being transferred from Xinjiang and are held at secret prisons in other provinces, where their conditions are even worse than those in Xinjiang’s transformation through education camps.